What should I know about pancreatitis? What are the signs and symptoms of pancreatitis? Is there a diet for pancreatitis? What are some of the complications of pancreatitis? What is the prognosis for pancreatitis? What is the medical definition of pancreatitis? Pancreatitis is an inflammation of the pancreas. Of the many causes of pancreatitis, the most common are alcohol consumption and gallstones. About 210,000 cases of acute pancreatitis occur in the US every year. What is the pancreatitis prognosis? Pancreatitis can range from a mild, self-limited disease to a condition with life-threatening complications. 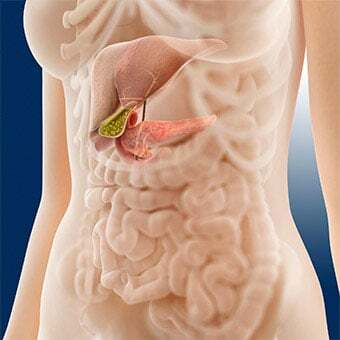 The pancreas is an abdominal gland situated behind the stomach in the upper abdomen. The main function of the pancreas is to secrete hormones and enzymes that help with digestion and regulate blood sugar (glucose) metabolism. The digestive enzymes are released via the pancreatic duct into the small intestine where they are activated to help break down fats and proteins. The digestive hormones (insulin and glucagon) produced by the pancreas are released into the blood stream where they help regulate blood sugar levels. Pancreatitis is categorized as being either acute or chronic. Acute pancreatitis generally develops suddenly, and it is usually a short-term (a few days to weeks) illness that typically resolves with appropriate medical management. Chronic pancreatitis, which typically develops after multiple episodes of acute pancreatitis, is a long-term condition that can last for months or even several years. Pancreatitis is a condition that may be mild and self-limiting, though it can also lead to severe complications that can be life-threatening. The acute form of pancreatitis, in its most severe form, can have deleterious effects on many other body organs, including the lungs and kidneys. Pancreatitis causes upper abdominal pain which can range from mild to severe. The pain may come on suddenly or it may develop gradually. Often, the pain will start or worsen after eating, which can also occur with gallbladder or ulcer pain. Abdominal pain tends to be the hallmark of acute pancreatitis. People with acute pancreatitis usually feel very ill. In chronic pancreatitis, abdominal pain also can be present, but it is often not as severe, and some people may not have any pain at all. Normally, digestive enzymes released by the pancreas are not activated to break down fats and proteins until they reach the small intestine. However, when these digestive enzymes are activated while still in the pancreas, inflammation and local damage to the pancreas occurs leading to pancreatitis. 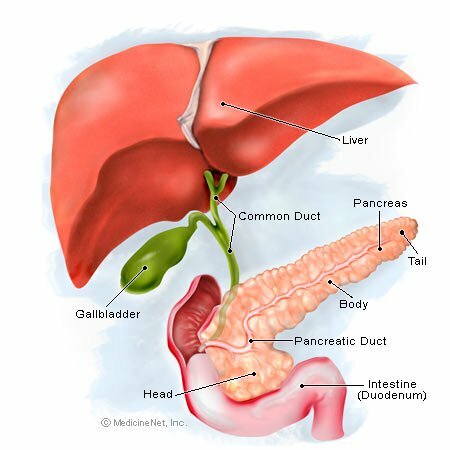 Alcohol consumption and gallstones account for over 80% of all cases of pancreatitis in the US. There are a number of tests that alone, or in combination, will help establish the diagnosis of pancreatitis. A CT (computed tomography) scan of the abdomen may be ordered to visualize the pancreas and to evaluate the extent of inflammation, as well as any of the potential complications that can arise from pancreatitis, such as bleeding or pseudocyst (a collection of fluid) formation. The CT scan may also detect gallstones (a major cause of pancreatitis) and other abnormalities of the biliary system. 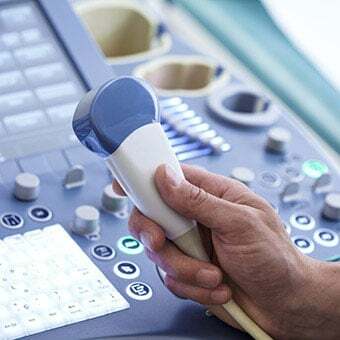 Ultrasound imaging can be used to look for gallstones and abnormalities of the biliary system. Because ultrasound imaging does not emit radiation, this modality is frequently the initial imaging test obtained in cases of pancreatitis. Depending on the underlying cause of pancreatitis and the severity of illness, additional testing may be ordered. 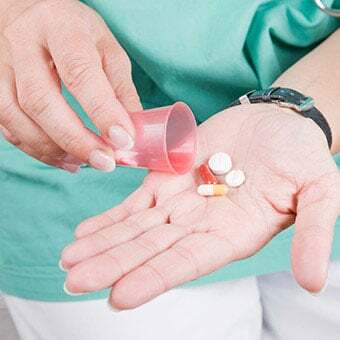 If high triglycerides are the cause of pancreatitis, then your health-care professional may prescribe medication to decrease the patient's triglyceride levels. In general, the above treatment regimen is the mainstay of pancreatitis management. Pain medication and medication to control nausea may also be prescribed. In cases of chronic pancreatitis, your health-care professional also may prescribe pancreatic enzyme supplements in order to help the body digest certain nutrients. For people with pancreatitis, low-fat meals that are high in nutrients is the recommended diet. Adequate fluid intake is also recommended to prevent dehydration. Diabetes: Damage to the pancreas can lead to diabetes due to the disruption in the secretion of insulin. Pseudocyst formation: During acute pancreatitis, fluid and debris can collect in and around the pancreas. If rupture of this fluid-containing sac occurs, severe pain, infection and internal bleeding can result. Malnutrition: Damage to the pancreas can lead to a decrease or absence of digestive enzymes produced, which can affect the absorption of various nutrients. This may lead to malnutrition and unintentional weight loss. Pancreatic cancer: Chronic pancreatitis is a risk factor for the development of pancreatic cancer. Infection: Individuals with pancreatitis are at risk for the development of infection, which can lead to multi-organ failure, sepsis and ultimately death. 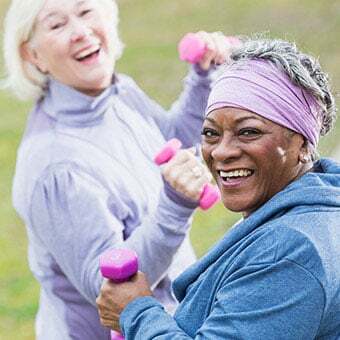 Certain lifestyle changes can decrease the chances of someone getting pancreatitis, such as alcohol and smoking cessation. Consuming a low-fat diet and maintaining a healthy weight can decrease the risk of developing gallstones, a leading cause of pancreatitis. The prognosis for pancreatitis depends on many different factors, such as the underlying condition causing pancreatitis, the severity of the pancreatitis, and the patient's age and underlying medical problems. 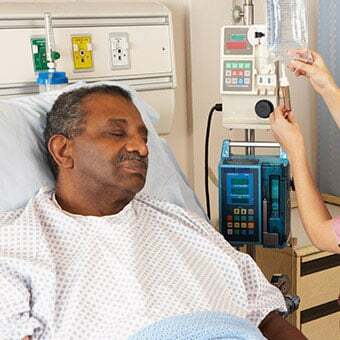 Patients with pancreatitis can experience everything from a brief self-limited illness with a full recovery to severe course of illness that can lead to life-threatening complications and death. If an individual has repeated episodes of acute pancreatitis, they may develop chronic pancreatitis, a lifelong condition that can lead to a decreased quality of life. What were your symptoms of pancreatitis? How was your pancreatitis (acute or chronic) treated? 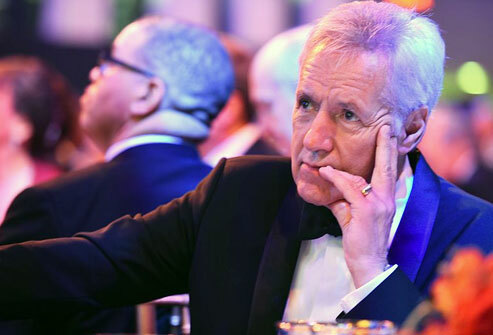 If known, please describe the cause of your case of pancreatitis. Please share your experience with acute or chronic pancreatitis. A fish-shaped spongy grayish-pink organ about 6 inches (15 cm) long that stretches across the back of the abdomen, behind the stomach. 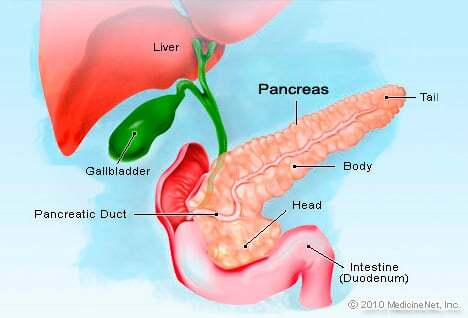 See a picture of the Pancreas and learn more about the health topic.